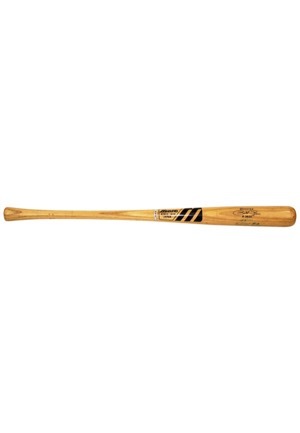 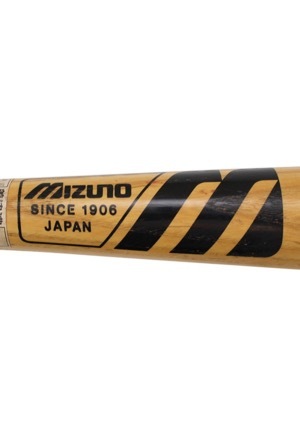 Manufacturer: Mizuno Model Number: R3631 Length: 33 inches Weight: 31.7 ounces. 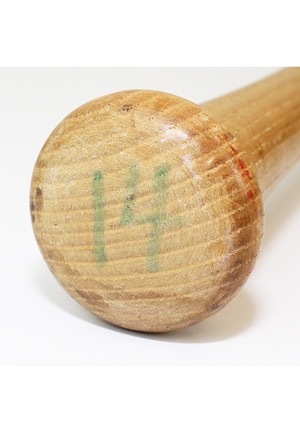 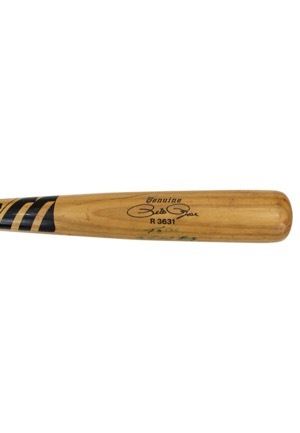 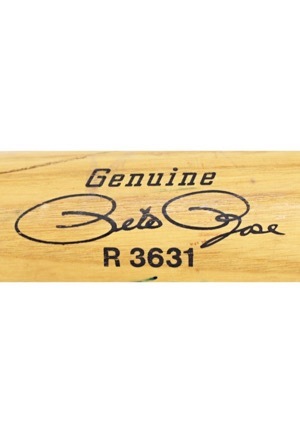 The bat is uncracked and shows evidence of game use with ball and cleat impressions throughout the barrel. 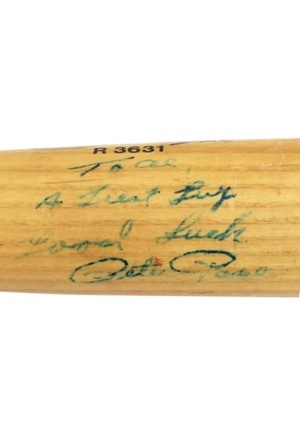 Rose signed the bottom barrel in blue ink with the added inscription “To Al A great guy good luck” and in our opinion the signature rates a 5. 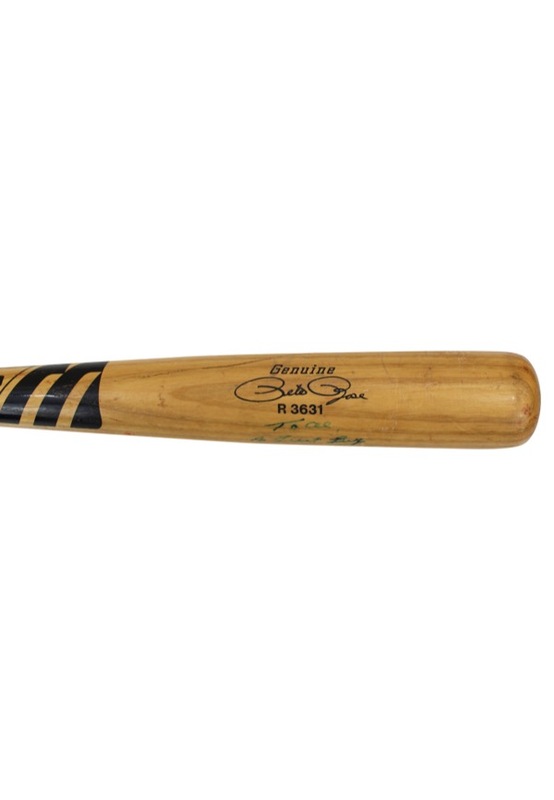 Accompanied by a LOA from JSA, a PSA/DNA LOA grading the bat a GU 9 and a LOA from teammate Al Holland who received the bat and states the bat was used in the 1983 World Series and was collected by him from Rose.